In about 1981, Ernesto Colnago decided to crimp the frame tubes (something that bike builders had been doing to chain stays for decades). 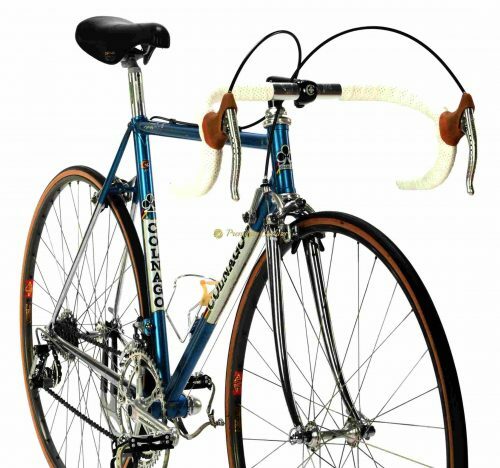 Colnago Nuovo Mexico was released in 1982/83, it was stiffer than Super or Mexico models and has 2 crimps on the top tube, 2 crimps on the down tube. The Nuovo Mexico is also predecessor for Colnago’s future models with more crimps: the Master, the Arabesque Regal and Esa Mexico. Happy to present one of the best steel racing machines that ever left Ernesto’s factory , the COLNAGO Nuovo Mexico which dates back to 1982. The frame is shining in beautiful metalic blue paintjob, made of crimped Columbus SL tubing (2 crimps on top tube, 2 on down tube), built with full pantograph Campagnolo Super Record – Colnago groupset, 3ttt cockpit, Mavic GP4 rims and San Marco Concor saddle. The trandescent beauty of this steel icon remains unrivalled. Love at first sight! 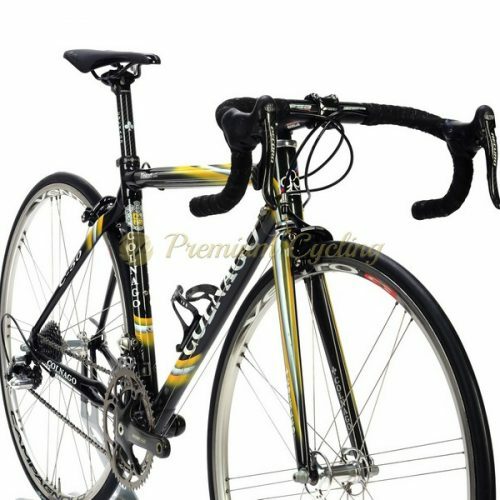 For all Colnago enthusiasts. L’Eroica ready. Condition: Used, but good condition. The frame has no cracks, no dents and is not bend. Original paint and decals. Some signs of normal use. All parts are working fine.